If either the M1 or M2 seat memory switch is pressed, the outer mirror control ECU assembly (driver door) detects the seat memory switch status and sends the switch signal to the main body ECU (driver side junction block assembly) via CAN communication. 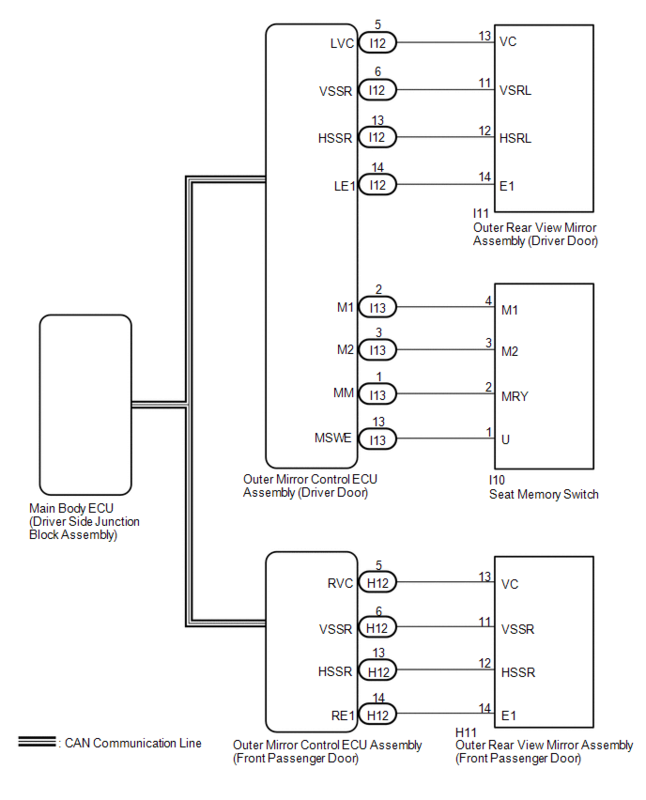 The main body ECU (driver side junction block assembly) sends back reproduction signals to each outer mirror control ECU assembly via CAN communication. When receiving the reproduction signals, each outer mirror control ECU assembly operates the vertical and horizontal mirror motors, which are built into the outer rear view mirror assembly, to adjust the mirror surface to the stored position. 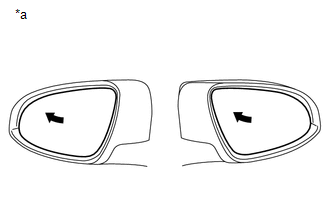 (a) Check the electrical remote control mirror function (See page ). ON (Memorized) appears on the screen.